At Croton Auto Park Chrysler Jeep Dodge Ram, you'll find a handpicked selection of used Ram trucks and vans for sale. Whether you're interested in a pre-owned Ram 1500 truck or a used ProMaster cargo van, our used Ram dealership in Croton-On-Hudson, New York has the affordable used Ram models you know and trust. Looking to add a highly durable truck or van to your workforce? Perfect for enhancing your mobile business, construction company, or everyday driving demands, the Ram 1500 truck or ProMaster van does not disappoint when it comes to ruggedness, capacity, and capability. And thanks to our central location on Municipal Place, near Mobil and Memphis Mae's, stopping by for a test drive is easy. 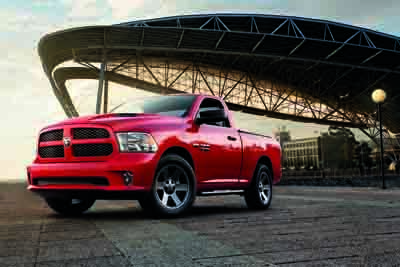 To get into the driver's seat of a great used Ram model, stop by and see us today. Find a used Ram model at your local Croton, NY Ram dealership. With years of experience, exceptional customer service, and a depth of knowledge about the Ram brand and beyond, why choose anywhere else than our used Ram dealership in Croton-On-Hudson, NY? Whether this is your first time working with the friendly professionals at Croton Auto Park Chrysler Jeep Dodge Ram, or you've been coming to our auto service center and parts department for years, a few things you'll always encounter are our strong commitment to crystal clear communication, everyday low prices, and premium selection. Want to learn more? It's easy, pick up the phone and give us a call now! No matter your credit, from good to bad to no credit at all, the auto financing specialists at our used Ram dealership in Croton-On-Hudson, NY are excited to work with you. In addition to a premium selection of used Ram trucks and vans, you'll also find topnotch car financing and auto loan options in our full-service auto finance center. To start the car-buying process right away, make it easy on yourself by filling out our auto financing application online today.